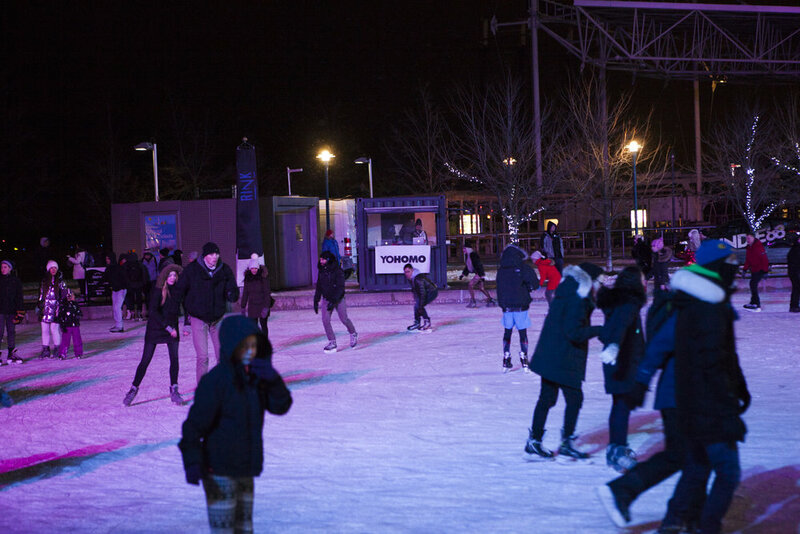 Every Saturday night until mid-Feb, the Harbourfront Centre hosts DJ Skate Nights (just one of many fun queer things to do this winter), and last weekend we had the absolute pleasure of hosting and DJing our very own. The second Harbourfront so kindly reached out, we screamed “Hell Yes!” We played figure skating hits (alongside all the figure skating fashions) and lots of twirl-worthy diva hits while eight local drag queens skated and triple salchow’d around the rink. 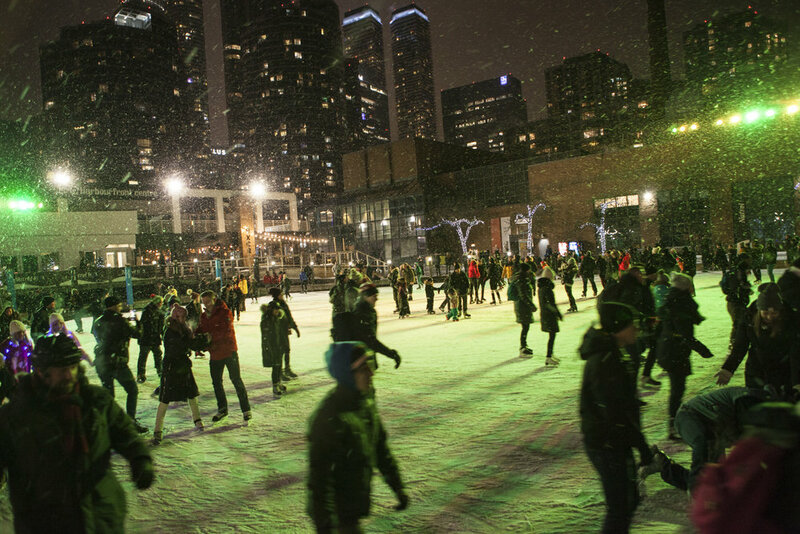 Here are some choice pics from our queer skating night, one of the busiest nights the rink has seen this winter. A HUGE thank you to Natrel for handing out the tasty YohomoHotCoco and helping us bring so many amazing performers, it truly made the event; Jacklynne Hyde, Amber Ellert, Scarlett Bobo, Penelope Strange, Ashlee Warchild, Juice Boxx, The Drag Twins and all of you who froze your asses off with us on the rink! All shots were taken by the sparkling May Truong. 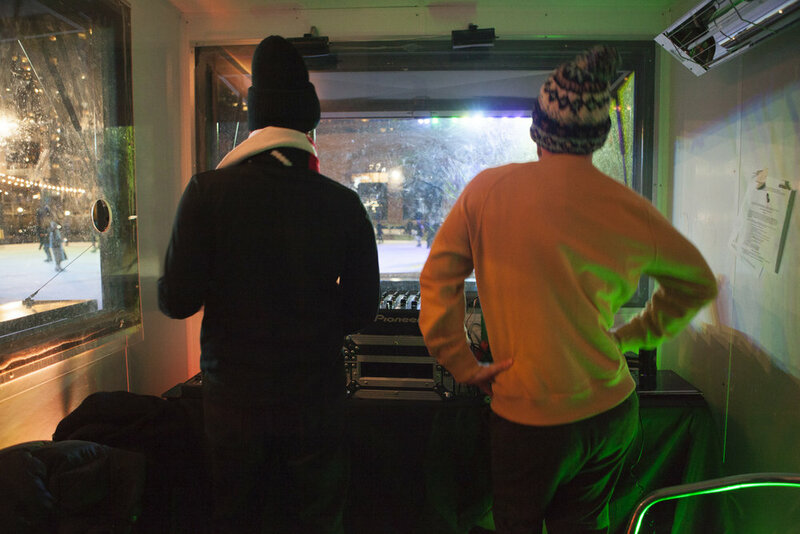 Inside the DJ booth looking out onto the rink! Juice Boxx learning to skate. 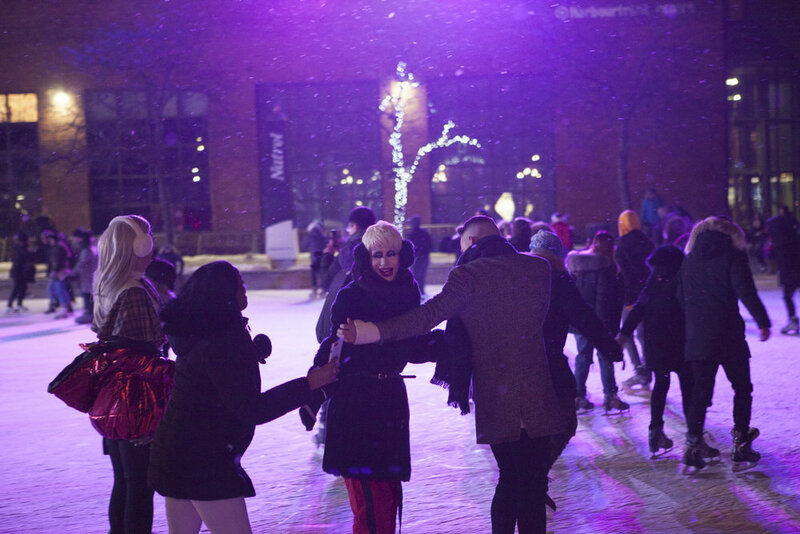 Special thanks to Harbourfront Centre and Natrel for their help in making this night happen.